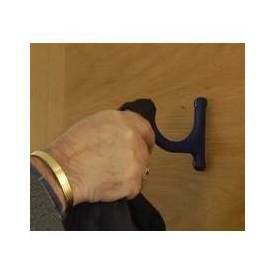 Flexible safety coat hook made from a flexible nylon that allows the hook to be bent in any direction and spring back into it original shape.It does not support a ligature tied to it [see pictures] and is supplied with anti-tamper screws ideal for use in Mental Health Units or detention centres. Available in Blue RAL 5003. 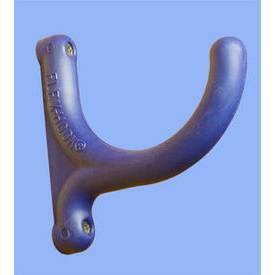 This hook could also be used in children’s nursery or primary schools as contact with it would prevent accidental damage to little faces. 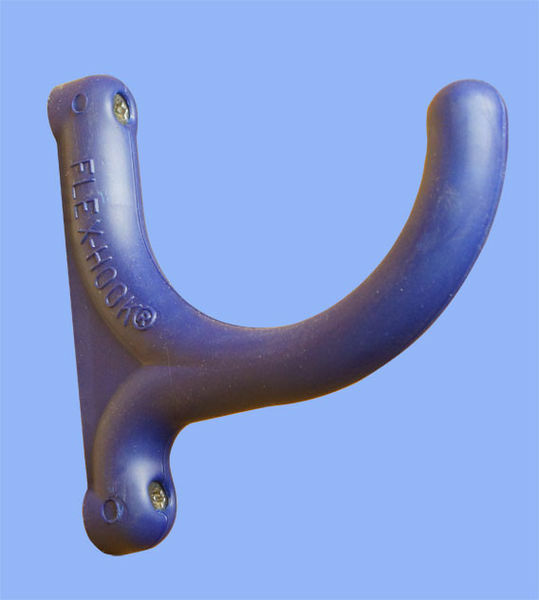 Fitting instructions for Anti-ligature application: rebate the base into the surface by 3mm to prevent items being worked behind it. Can be supplied bolt through with disc supplied to cover bolt heads.